With a population of over 87 million people, and one of the fastest growing economies in the world, Vietnam is proving to be an attractive place for foreign investors to do business. Over the past two decades, Vietnam’s economy has been developing rapidly due to the government’s “Doi moi” (renovation) policy and its determination to integrate Vietnam into the global economy. With a stable political environment and great economic potential, Vietnam is taking firm steps towards industrialization and modernization. Here are our top legal tips for successfully investing in Vietnam. As with most other Asian countries, establishing and maintaining relationships is at the heart of doing business in Vietnam. Decisions made by Vietnamese partners can be influenced by the strength of relationships. It is therefore important to invest the time and effort to build trust and a rapport with your proposed Vietnamese partner. In addition, the concept of “face” is extremely important to the Vietnamese. It is important to treat, and be seen to be treating, your Vietnamese partner and other Vietnamese counterparties with respect in all aspects of your relationship and dealings with them. Understanding how “face” is lost, saved or given is critical. You should conduct a comprehensive due diligence exercise to understand and evaluate the risks associated with the target and/or your proposed Vietnamese partner. Some of the risks include legal and regulatory challenges, corruption and bribery risks, and availability of a skilled labor force and enforceability of contractual rights. You should also be mindful of the history of your proposed Vietnamese partner’s other joint venture relationships, which could provide a useful insight into the way in which it does business. There are certain sectors in which foreign investment is prohibited. These sectors include those that are detrimental to national defense, security and the public interest, the treatment of toxic waste imported to Vietnam and projects detrimental to historical and cultural traditions. In certain other sectors, foreign capital ownership is restricted, including the telecoms, oil and gas and the power sectors. There is also a blanket 49% cap for foreign ownership of any public company, including those listed on the Ho Chi Minh City Stock Exchange and the Hanoi Stock Exchange. There are proposals to lift the foreign ownership limit for publicly traded companies from the existing 49% limit to further encourage foreign investment in Vietnam’s capital markets. In addition, there are a number of other sectors in which foreign investment is “conditional” and requires approval from the appropriate regulators, ministries and, in some cases, the Prime Minister. It is therefore important to identify any restrictions or approvals that will be required at the outset of a transaction and to engage with the relevant authorities at an early stage of the transaction process. The right to use land in Vietnam is generally through the allocation of land use rights. Land use rights can be granted on a long term basis or for a limited term. There are restrictions on land use rights in relation to foreign investors; land use rights are generally granted to foreign investors for a definite period of around 50 years. This can have important implications on the structuring of your investment. Depending on how important land use rights and their duration are to your business venture, detailed legal advice on this should be sought from your legal advisers during the structuring process. Contributions of capital must be made in Vietnamese Dong. Foreign investors must establish a “Capital Contribution Share Purchase Account in Vietnamese Dong” with an authorized commercial bank in Vietnam. The funds for your investment must be deposited into that account and withdrawn in Vietnamese Dong to make the relevant investment. Profits and distributions of capital must also be deposited into that account and remitted offshore from that account. It may not be possible to remit the proceeds of your investment from Vietnam unless these rules are adhered to. With a population of over 87 million people, and one of the fastest growing economies in the world, Vietnam is proving to be an attractive place for foreign investors to do business. Over the past two decades, Vietnam’s economy has been developing rapidly due to the government’s “Doi moi” (renovation) policy and its determination to integrate Vietnam into the global economy. With a stable political environment and great economic potential, Vietnam is taking firm steps towards industrialisation and modernisation. Here are our top legal tips for successfully investing in Vietnam. The Competition Law in Vietnam prohibits certain agreements in restraint of competition, abuses of dominant or monopoly market position and certain market concentrations. A merger, consolidation, acquisition or joint venture that results in a combined market share of 50% is in principle prohibited, unless an exemption applies or the concentration creates a small to medium enterprise. When a merger, consolidation, acquisition or joint venture results in a combined market share of 30% to 50% - an “economic concentration” - the Vietnam Competition Administration Department (“VCAD”) must be notified, unless the economic concentration creates a small to medium enterprise. The transaction cannot be completed until VCAD approval is obtained. The review by the VCAD may, in practice, take a significant amount of time. Accordingly, if your proposed transaction involves two or more entities with a business presence in Vietnam, you should conduct an early analysis of the entities’ market shares to determine if a notification should be made. The Labor Code contains restrictions on the employment of foreigners in foreign enterprises and a work permit for a foreigner may be required from the Ministry of Labor – Invalids and Social Affairs. Where specific employment positions require specialist skills or senior management responsibilities that Vietnamese nationals are not qualified for, permission will generally be given to recruit foreign workers to fill the position. Recent years have seen a heightening of environmental consciousness and concern in Vietnam. It is very important for anyone wishing to invest in Vietnam to be aware of their environmental obligations. All investors are required to either submit an environmental impact assessment report or give environmental protection undertakings to the local authorities. Both serve to outline the specifications of the project, the likely waste to be produced by the project and measures taken to minimize any negative effects on the environment. These reporting and notification requirements must be taken very seriously by foreign investors. Although the Civil Code does recognize the concept of good faith (a concept applicable to all transactions), it is unclear how the concept is applied in practice. The Civil Code broadly states that all persons (including legal entities) must act with “goodwill and honesty”. You should discuss with your legal advisers how to ensure that you are not legally bound to proceed with the transaction until a definitive agreement is signed. Bribery and corruption Vietnam ranks 116 out of 175 on the 2013 corruption perception index with law enforcement, health care services and land ownership listed as the most affected by corruption. In 2012, the National Assembly in Vietnam passed a revised law on anti-corruption, indicating the governments’ strength will to fight against corruption in the country. You should take the time to understand the local practices of the target and/or your Vietnamese partner, and review anti-corruption and sanctions compliance programs, or establish them if none exist. Although Vietnamese law permits the choice of a foreign law in contracts with respect to foreign investment activities and for commercial contracts with foreign elements, this is qualified by the requirement that such law must not contradict the fundamental principles of Vietnamese law. In addition, a contract entered into in Vietnam and performed entirely within Vietnam must “comply with Vietnamese laws”, which is generally understood to require such contracts to be governed by Vietnamese law. In general, a foreign court judgment cannot be enforced in Vietnam unless it has been recognized, and its enforcement in Vietnam permitted, by a decision of the Vietnamese court. The application for a foreign court judgment to be enforced in Vietnam is cumbersome and fraught with difficulties. 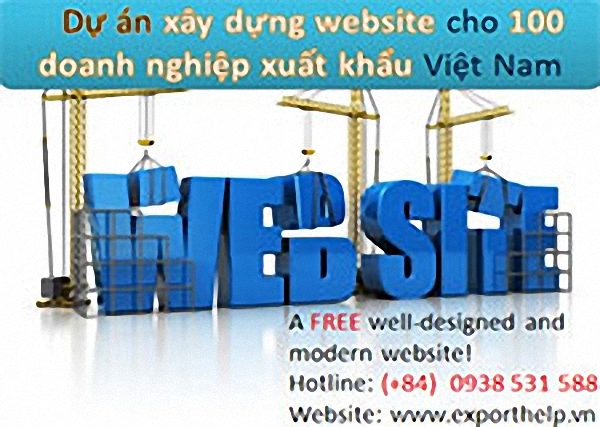 Vietnamese law expressly permits international arbitration for contracts involving foreign investors or foreign invested companies and for commercial disputes. Vietnam is also a party to the New York Convention on the Recognition and Enforcement of Foreign Arbitral Awards, so a foreign arbitral award from a jurisdiction which is also party to the New York Convention should in principle be recognized in Vietnam. Accordingly, if you enter into a commercial arrangement where any dispute is to be resolved outside Vietnam, you should choose arbitration over court proceedings. As there are concerns that enforcement of foreign arbitral awards may be difficult and Vietnamese courts may refuse enforcement on technical grounds, you may also want to consider seeking suitable security outside of Vietnam or, possibly, agreeing with your Vietnamese partner a retention of funds to cover, for example, any breaches of representation, warranty or indemnity contained within your investment documents.